One of the perennial challenges of social media marketing is converting fans and engagements into revenue. Pinterest will soon unveil a feature that will help consumer buy the items they see on their favorite boards. In a few weeks, a new “Buy It” button will be added to Pinterest. Consumers are used to seeing a the red “Pin It” button on Pinterest (and some websites) that allow people to pin content to one of their boards. Soon, there will be a blue “Buy It” button that appears next to the classic red button on Pinterest. These buttons won’t be links back to the home site, but rather allows the person to buy through Pinterest. The feature will be available on iOS the end of the month. Android and desktop users will have to wait a little longer. Though no timeframe was given for the Android and desktop launches, it’s safe to assume that Pinterest won’t waste time getting these additional versions ready. As a feature that allows people to buy through Pinterest, it’s not something that every account holder would be able to do. 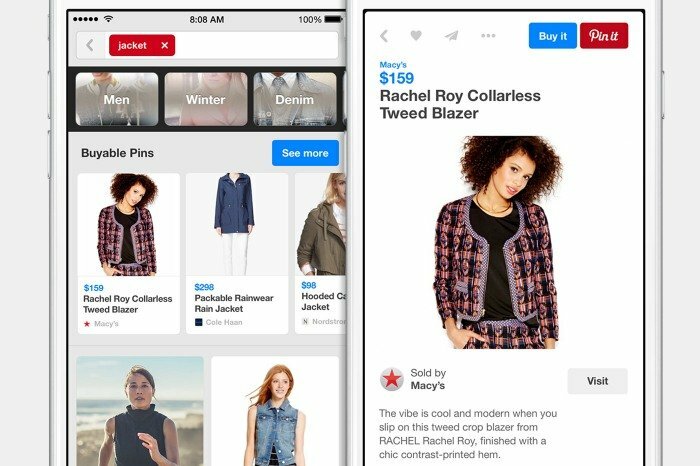 Pinterest boasts that over 2 million buyable products will be available at launch, these will mostly be from larger retailers like Macy’s, Neiman Marcus and Nordstrom. This doesn’t mean that small businesses will be shutout. Online retailers that use the Shopify platform can create buyable pins and the same applies for users of Demandware. 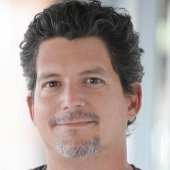 Demandware users will have to wait a few weeks to set up buyable pins, but Shopify users can get started now. Shopify retailers just need to log into their account and add the Pinterest channel. Once started, all of their available product Pins on Pinterest will also become buyable. The launch may be somewhat limited, Pinterest seems interested in adding support for other shopping platforms in the future. Business owners and marketers who want to be the first to hear about future integration options can sign up for a waiting list. This new “Buy It” button represents a huge leap for Pinterest and one that puts it ahead of other platforms, including Facebook. They’ve created a seamless way for people to buy items directly from Pinterest using large retailers and highly-trusted payment partners to establish credibility. There may be a lot of apps for Facebook that allow people to set up simplified shopping channels, but none of them are directly supported by Facebook and none of them will but a Buy button onto Timeline posts. This is probably something Facebook and Twitter are working on, but the fact remains that Pinterest beat them to the punch. It will take some time before Pinterest can release data on the effectiveness of the Buy It button, but all signs point to it being tremendously useful for business owner and marketers. This blue “Buy It” button may start a trend across the industry, with more platforms introducing similar features. For more recent social media news, read this article about Google and Twitter’s plan to put live Tweets into search engine results.